Note - Can be used alongside all other forms. Son Goku, often referred to simply as Goku, is the main protagonist of the Dragon Ball metaseries. He previously fought Superman in the 25th episode of Death Battle, Goku VS Superman, he then fought Superman again in a rematch. He also fought Sonic in an April Fools episode of One Minute Melee. He later fought Saitama in the Season 5 Finale of One Minute Melee. WARNING: The following tab will reveal the numbers of wins and losses for the following character. Read at your own risk. Son Goku, or his Saiyan name Kakarot, was born the son of a low-class warrior Bardock on Planet Vegeta. He narrowly escaped the extinction of his entire race when he was sent to Earth as an infant with the mission to wipe out the inhabitants and conquer the planet. But he raised by his adoptive grandfather Son Gohan and fell from the deep ravine, erasing all memory of his mission and instead becomes the moral opposite of a Saiyan: a good-natured and brave man who is pure of heart. It was only when he was found by Bulma Briefs during her search for the Dragon Balls that Goku's journey that extends to even the afterlife and the known universe begins. Throughout his life, faint traces of his Saiyan heritage apparent in his fights, Goku trains himself hard to be the greatest warrior possible and use that power to protect everyone and everything dear him. These are possibly the least known capabilities of Goku. Instant Transmission: Goku concentrates, then teleports. This can be used rapidly to confuse the opponent or escape in a pinch. While he needs to have a source of ki to lock on to and teleport to, he doesn't have to be right next to them when he teleports to them as when he used Instant Transmission to teleport to Broly, he teleported all the way outside of the cave Broly was in while Broly was deep inside. Ki Sense: Goku can sense an opponent to locate them when they are hiding, use Instant Transmission to teleport to them, sense how strong they are, and even sense a person's morality. This will not work if the opponent suppresses their energy enough or doesn't have anything to sense to begin with. Ki Blast: The most basic energy wave. It can either be a sphere of ki or a beam and is fired through the hand. Kiai: A technique where Goku affects the air currents around him with ki to produce powerful shockwaves in order to strike the opponent. Used to perform certain techniques like the Invisible Eye Blast and the Soaring Fist. Invisible Eye Blast: Shoots an invisible blast of kiai out of his eyes. Kaio-Ken: A power Boost technique that allows Goku to increase his stats up to 20x, though it puts a strain on his body. Destructo Disc: Goku concentrates Ki into the form of a razor sharp disc, and he hurls it at the target to slice them. 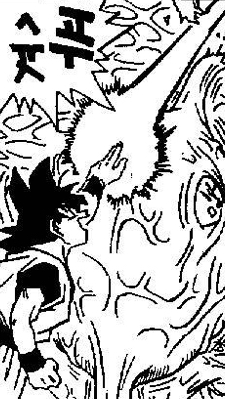 Solar Flare: Goku discharges a flash of light to blind his opponent(s). Homing Energy Wave: A Ki Blast that homes in on the target. God Bind: A technique where Goku, in his Super Saiyan God form, traps his opponent in Godly ki to restrain them, leaving them open to attack and unable to move. Spirit Shot: Goku extends both of his arms, releasing two large blasts of Kiai from each side. Ki Blast Thrust: Goku thrusts a ki blast at his opponent for an extra powerful physical attack. Soaring Fist: Goku shoots a(n) translucent/invisible kiai blast from his fist by punching. Ki Blast Barrage: Goku unleashes a barrage of Ki blasts. Spirit Ball: A technique invented by Yamcha that Goku used during the Tournament of Power. Goku summons a large ki sphere and directs it around to hit his opponent. Spirit Gun: Goku puts his hand in a gun formation and shoots small but quick ki blasts or beams of ki from it. Ki Mines: Goku drops small Ki spheres across the battlefield without his opponent noticing. The Ki Mines release a giant explosion when stepped on. Spirit Bomb: A formidable attack that relies on the energy of surrounding living organisms which forms a ball of varying size and power depending on the energy given. After Image Technique: Goku creates an afterimage to confuse his opponent. He can surround his opponent in a circle of these to confuse them further. Fusion Technique: Using a special pose, he is able to fuse with another being. However, it must be executed in a specific way, or else it will not work. In addition, this technique, in a Death Battle, is really only applicable to a Team fight. Godly Ki: An extremely powerful form of Ki that vastly surpasses conventional Ki. It can also only be sensed by deities and a select few other beings. Standard Kamehameha: Goku cups his hands together, charges the attack, and unleashes a beam of ki. Jet Kamehameha: Kamehameha directed at the ground, which propels the user through the air. Bending Kamehameha: A Kamehameha that allows the user to change the course of the attack, allowing them to surprise the opponent. Feet Kamehameha: The Standard Kamehameha, albeit fired from the feet. Super Kamehameha: A more powerful and larger version of the standard Kamehameha. It also includes multiple sub variants, such as the True Kamehameha, a far more powerful version. Double Kamehameha: One kamehameha wave bursts forth from each hand. Twin Dragon Shot: A Kamehameha in two energy spheres, allowing guidance by user's arm movements. Goku uses this attack against Frieza. Instant Kamehameha: Using Instant Transmission, Goku closes the distance between him and his opponent, then unleashes a point blank Kamehameha blast at them. Multiple Kamehameha: A Combination Attack that occurs when two or more fighters combine their Kamehameha waves into one. Kamehameha Rebirth: An extremely powerful Kamehameha used by Super Saiyan God Goku. God Kamehameha: The most powerful version of the Kamehameha. Used by Super Saiyan God Super Saian Goku, Alternatively named Burst Kamehameha. Originally thought to be of mere myth and legend, with the advent of the Frieza Saga, Goku has attained such a form, after he witnessed his best friend Krillin die at the hands of the Galactic Tyrant, Frieza. Increases power 50x his base form. Proportioned to his physical abilities, which gives him an even greater boost in strength, ki power, speed, stamina and durability. He is able to stack Super Saiyan power multipliers with each form. So with being Super Saiyan 3, he is 400x stronger than his base form. In this form, Goku was able to outclass Frieza, who was giving him huge trouble before. He still wasn't able to defeat Goku even when he used his full power. Twice as strong as a regular Super Saiyan and greatly boosts his stats. 100x stronger than his base form. Four times stronger than a Super Saiyan 2, and also once again greatly boosts his stats. 400x stronger than his base form. Is able to fight more evenly with Kid Buu than the previous forms. Note: GT is officially not canon to the events of DBZ or DBS. DBS is the official retcon of the 'post-DBZ' canon. Presumably ten times stronger than Super Saiyan 3, which would make a Super Saiyan 4 4000x stronger than Base Goku. Takes some time to fully master. However, Beerus hinted at the time limit being able to be mitigated. Unlike the other Super Saiyan forms, Super Saiyan God has a time limit, making it not a permanent transformation. Allows the user to regenerate from wounds. While he can lose the form, he can retain it's power, allowing Beerus to continue to battle Beerus on equal grounds using just his base and SS1 Form. Multiplier is 50x the unknown Super Saiyan God multiplier. As the name suggests, it is the Super Saiyan form of Super Saiyan God. Stronger than Super Saiyan God and all previous Super Saiyan forms. Requires Ki Control and Focus. Enables the user to possess and sense Godly Ki. It can also be used alongside the Kaio-Ken due to the forms great Ki control and Focused mind. An enlightened transformation taught to Goku by Whis. Self-Movement Technique: Goku can automatically react to attacks without effort or thought: focusing entirely on nearly instant muscle reaction rather than brain input. This makes feints and illusions ineffective. 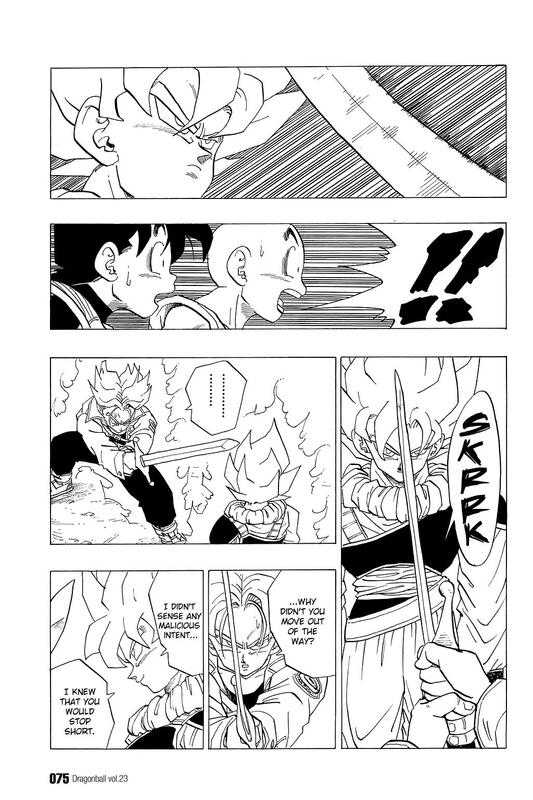 Whis confirmed that Goku mastered this technique. He just needs to boost his power since his body does all the other work for him. This changes Goku's skill and fighting style completely. Piccolo claims that Goku is "constantly evolving" during this transformation; with Goku's attacks becoming faster, more powerful and more precise the longer he fights. Is stated to make the user achieve their maximum efficiency in offense, defense, and strategy. Goku has yet to master this new form, after about 3 minutes, it wore off. Currently, Goku needed the energy of the Spirit Bomb to achieve this form. Match Jiren, whose mere power was shaking the whole World of Void, an infinite realm outside time and space. It's possible that Goku may have been able to defeat Jiren if the transformation didn't expire. Is considered powerful by the standards of the gods of the DBZ multiverse. Some of the lesser gods have been unable to achieve this form despite their attempts. Goku must ignore thinking on how to attack and instead rely on instinct; otherwise, he will not control this form's power properly. This form is exhausting and puts a great amount of strain on Goku after it expires. Goku's current ultimate and most powerful form. Complete control over the Ultra Instinct ability. Only activates when Goku needs it. Despite it's amazing reflexive ability and incredible power, doesn't even last a full minute before his body is put under immense strain, eliminating any chance he has of defending himself, and costing him any fight without outside help. Has reflexes good enough to dodge laser blasts. Fought and defeated the alien Frieza, who had destroyed Planet Vegeta along with the Saiyan race. Is able to keep up with a supressed Beerus (70% in the Battle of Gods movie, unknown % in the anime and manga) thanks to his newly achieved Super Saiyan God form. With the Super Saiyan God Form, he created shockwaves that were stated could destroy the Universe when he clashed with Beerus. Over powered Zamasu and Goku Black for a short time after hearing they killed Chi-Chi and Goten. In their rematch, defeated Hit without utilizing Super Saiyan Blue Kaio-Ken. As Super Saiyan 2 through Super Saiyan God. 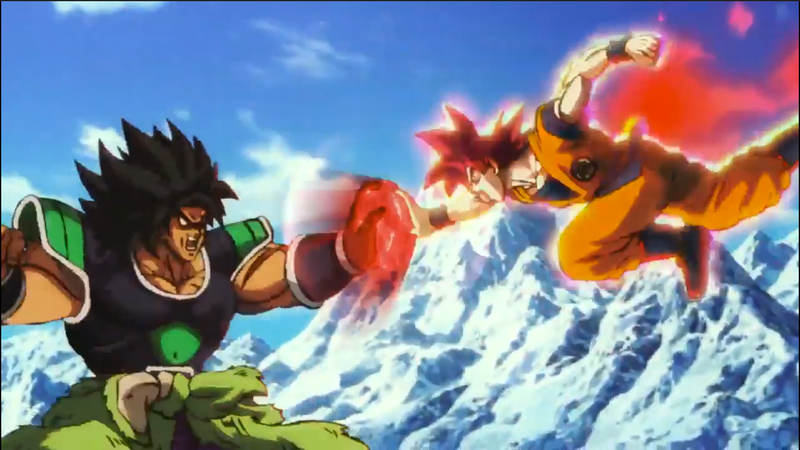 Goku hold his own against Super Saiyan 2 Caulifla and Super Saiyan Berserk Kale while he was being tag teamed on. Defeated Super Saiyan 2 Kefla, the fusion of Kale and Caulifla while utilizing his incomplete Ultra Instinct. Defeated Aniraza (With the help of Super Saiyan Blue Vegeta, True Golden Frieza, Ultimate Gohan, and Full Power Android 17). After mastering Ultra Instinct, made short work of Jiren, and would have defeated him single handedly had Ultra Instinct not failed him last moment. As absurd as his power is: Goku's strength, speed, ki output and durability still has limitations and Goku has been overpowered multiple times. Even in his newest forms, Goku still faces characters capable of overpowering him. Killed by Hit (but revived himself using his ki blast). The Super Forms and signature Ki Attacks drain his Ki. While he's trained to lessen the ki drain, Super Saiyan 3, and Super Saiyan Blue (in the manga) still consume a lot of stamina. Certain transformations and ki abilities can damage his body if used for too long. Sometimes uses these techniques very recklessly. Goku cannot sense enemies who are hiding their ki, do not produce ki or use artificial ki (like robots). Can still suffer from diseases. In the Future Trunks timeline, Goku dies from a Heart Virus. In the normal canon, this same Virus led Goku to lose against the physically inferior Android 19, who could have been defeated without the need of becoming a Super Saiyan under normal circumstances. Lacks a formal education and is academically weak, Goku have little understanding of financial matters. Despite his knowledge of martial arts and tactics; overall Goku isn't very intelligent otherwise. Goku accidentally killed King Kai by teleporting Cell (who was self-destructing) to Kai's Planet. Goku needed to move Cell away to save the Earth and couldn't think of anywhere else to go to. Agreed to marry Chi Chi despite having no concept of what marriage is, originally thinking it was a type of food. Will avoid unfair advantages, preferring and enjoying a fair fight. Can be a bit too forgiving. Senzu Beans can be easily destroyed.